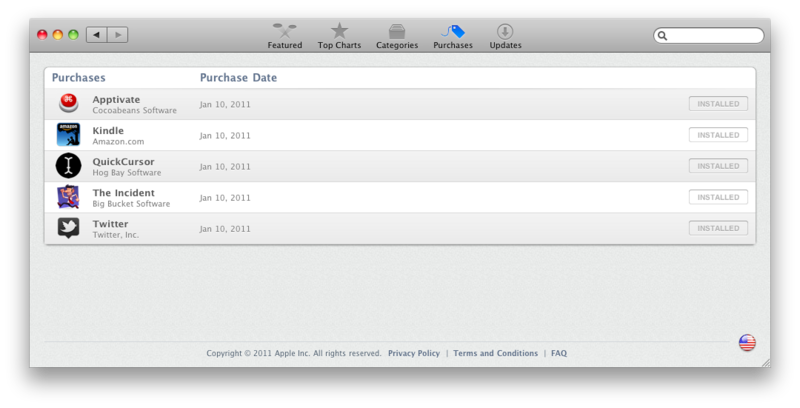 Since I was one vacation last week I had to wait until today to try out the new Mac App Store. Overall, mostly what I expected, lack of uninstall seems to be the most glaring omission, but it will come. Kindle: Mostly for my non-fiction books. QuickCursor: Edit almost any text field in TextMate (or your text editor of preference). The Incident: Fast and fun retro game.